At Delta® Faucet, we believe that there are better ways to experience water. This conviction goes beyond excellent design to incorporate smart thinking that anticipates people’s needs. Our technologies include MagnaTite® magnetic docking spray wands that stay in place; Touch20® Technology faucets that can be turned on or off with just a touch, making life easier when hands are messy; and DIAMOND™ Seal Technology valves that help the faucet last up to 5 million uses. Delta faucets incorporate thoughtful features that delight the customer. When paired with beautiful, inspirational design, it’s easy to understand why Delta is more than just a faucet. Delta is supported by a robust Canadian team that includes manufacturing, product development, engineering, sales and marketing among others. Several of Delta’s products are developed in our Canadian manufacturing facilities in St. Thomas, Ontario. Delta Faucet Company’s commercial products are a leading choice of North American plumbing and mechanical contractors, engineers and architects. Delta’s commercial offerings combine relevant, innovative features and exclusive technology with uncompromising quality. Delivering design solutions to meet project requirements, Delta’s commercial products offer a full array of sleek, contemporary, sophisticated options that are highly functional to suit every need. Delta’s product-trained customer service department, exclusive SpecSelect® program that facilitates product selection and five-year limited warranty on most commercial installations make Delta a market-leading product line. A worldwide leader in faucets and related accessories, Delta has a product for almost every application. Delta Commercial is supported by a robust Canadian team that includes manufacturing, product development, engineering, sales and marketing, among others. Several of Delta’s commercial products are developed in our Canadian manufacturing facilities in St. Thomas, Ontario. 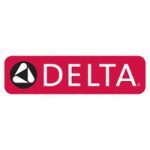 For more information on the Delta Sales and MAP Policies, click here. To ensure accuracy, please contact one of the Masco Canada media contacts to fact check your stories.